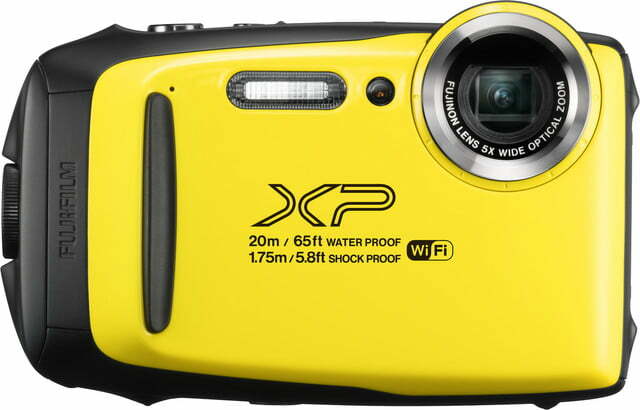 Fujifilm is updating its FinePix lineup with the new XP130, a rugged, compact point-and-shoot camera that can be used underwater. A follow-up to the XP120, which was announced a year ago, the XP130 has Bluetooth connectivity to a smartphone or tablet. The camera also includes two new features, Electronic Level and Eye Detection. The XP130 is a small evolution of the XP120, but it’s evident that it’s still a successful product for Fujifilm. 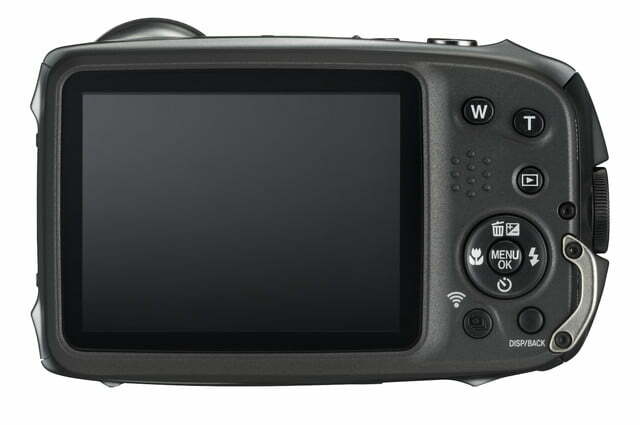 In addition to Wi-Fi, the XP130 includes Bluetooth connectivity. Bluetooth allows for instant transfers to a paired mobile device, as well as time syncing and geotagging. Wi-Fi image transfers will still be faster, however. The camera also supports printing to Fujifilm’s Instax Share printers via Wi-Fi, like the new SP-3 SQ. Remote shooting is available through the Fujifilm Camera Remote app for iOS and Android. Fujifilm added an Electronic Level feature for making sure photos and videos are perfectly horizontal, and Eye Detection to focus on the eyes of a subject in portrait photography. Otherwise, the XP130 shares the same specs as the XP120. It retains the rugged attributes: it’s waterproof down to 65 feet, shockproof from drops of up to 5.7 feet, freeze-proof down to 14-degrees Fahrenheit, and sealed to protect against dust. Design wise, from what we can tell, is exactly the same as its predecessor. The XP130 uses the same 16.4, 1/2.3-inch back-illuminated CMOS sensor; 5x optical zoom lens with optical image stabilization; 3-inch, and 920K-dot anti-reflective LCD. ISO range is 100 to 6,400, although that max ISO setting is only available when shooting small or medium-sized photos. Video is recorded at Full HD 1080 at 60p or lower. Shooting modes include interval timer, burst (up to 10 frames per second), time-lapse, Cinemagraph (think animated GIF), and Motion Panorama 360. 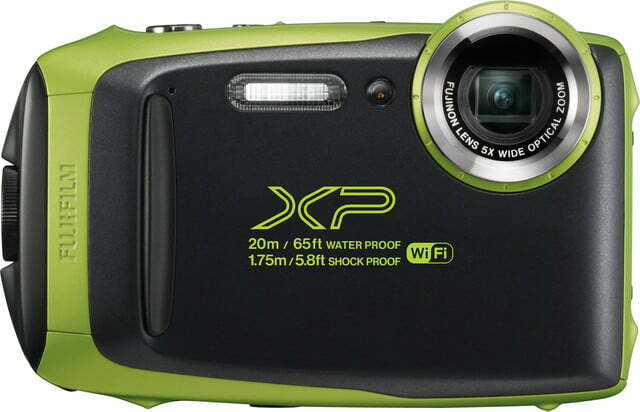 The XP130 comes in dark silver, lime green, sky blue, white, and yellow. Available in March 2018, the camera will cost $230. 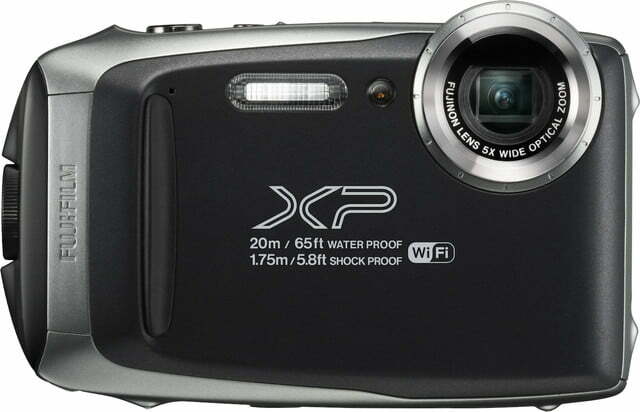 In a related note, the XP120 is one of several Fujifilm cameras being recalled due to a faulty wall plug that’s included (the cameras and batteries themselves are not affected). Read here to find out more about the recall.